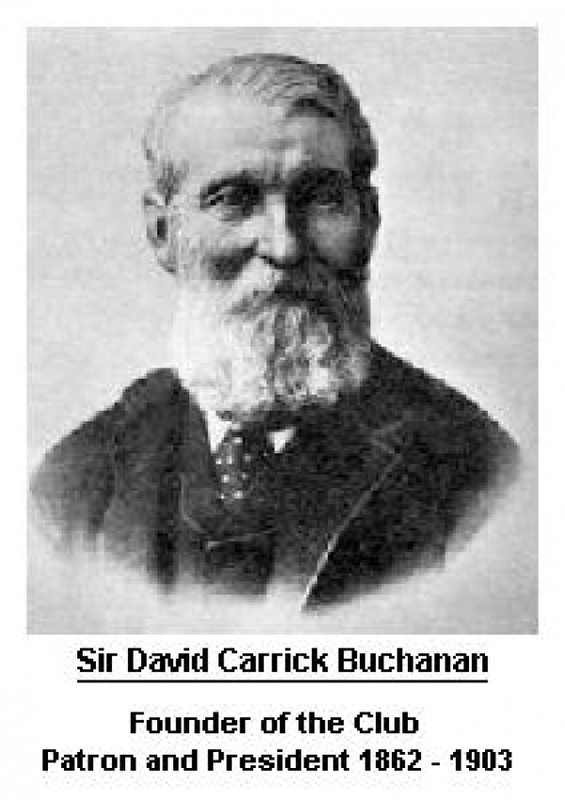 One of the businessmen present was Colonel (later Sir) David Carrick Buchanan who became the first President of the Club and who continued in this role until his death in 1903. Sir David was devoted to the sport of cricket and was patron of a number of clubs, providing invaluable financial assistance to them. In 1891, Dr. W.G. Grace brought a team to Partick and won by an innings and 33 runs. By 1922 the Club had a membership of over 500, seating accommodation for 3,500 and a turnstile at every entrance. A reconstructed pavilion was opened in April 1923 by the then President, Mr. Peter Dawson and a new scoreboard built in 1936. The Indoor School was opened in February 1957 and was the first of its kind in Scotland. Here at West, we have had many notable visitors. Between 1965 and 1970 Scotland played matches at Hamilton Crescent against New Zealand, the West Indies, MCC and Ireland. In August 1975 a benefit match was held for the then Club Professional, Salahuddin, and those taking part included Colin Cowdrey, Mike Denness, Intikhab Alam, Majid Khan, Asif Iqbal and Sir Garfield Sobers. Ongoing improvements to the ground and buildings enabled West to continue hosting Senior and International matches and a visit by a Pakistan touring side in 1982 was followed by a series of Benson and Hedges One Day matches between Scotland and Gloucestershire, Leicestershire, Yorkshire, Derbyshire and Northants. In July 1989 3,500 spectators watched Scotland play Australia. Following this, Scotland also played Essex and Kent at Hamilton Crescent. West has become a regular venue for the Scottish Cup Final, held at the end of August and our tradition of hosting Representative Fixtures has continued with five European Championship Matches being held at Hamilton Crescent during 2000, namely Holland v. Ireland, Gibraltar v. Portugal, England v. Scotland, France v. Greece and Holland v. Denmark. However, Hamilton Crescent also has a place in football history, as the first ever Scotland v. England international was staged here in 1872, which resulted in a 0-0 draw. The Club received the sum of £1.10s (£1.50 in today's currency) for the hire of the ground. The following two internationals were also staged at Hamilton Crescent in 1874 and 1876. Scotland fared better in these two games, winning 2-1 and 3-0 respectively. To continue the football theme, the Scottish Cup Final of 1876-77 also took place at Hamilton Crescent, with Rangers losing 3-2 to Vale of Leven.